Last week, Israel Defense Forces(IDF) launched air strikes in retaliation for rocket attacks from the U.S.-designated terrorist group Hamas, which primarily operates in the West Bank. More than 900 rockets have been fired at Israel from Gaza since the assassination of the commander of the Hamas military wing, Ahmed Jabari. Two missiles hit Tel Aviv Friday November 16 and others fired at Jerusalem. No injuries or damage were reported. The Palestinian Authority has joined Hamas, the Sunni Muslim Palestinian extremist group based in the Gaza Strip, in its attacks against Israel. Additionally, intelligence shows Iran is supplying Hamas with Iranian-made Fajr-5 long-range missiles. Terrorists continue to stockpile more than 10,000 rockets in Gaza. These long-range missiles and rockets have forced families into bomb shelters and bunkers. The Foreign Ministry said it was the first time a missile was fired at Jerusalem since the 1967 Middle East war. The Iron Dome missile defense system has intercepted hundreds of missiles fired at major population centers in Israel. Gaza health official, Ashraf al-Kidra, reports that the death toll has risen to some 70 Palestinians, both terrorists and civilians. Three Israelis were killed last Thursday. While many Israelis are all too familiar with living with the threat of war, being in the Holy Land during a time such as this brings a heightened sense of anxiety. For Sarit Haim, life has always been frightening. She lives near Tel Aviv where rockets from Gaza fly pass her house almost monthly. She worries whenever she goes to work or when she sends her children to school and even when she is out shopping for groceries. While Haim is further away from the fighting, her fellow countrymen aren’t so fortunate. The International Fellowship of Christians (The Fellowship) and Jews has pledged aid to communities in southern Israel. The Fellowship has pledged a $2.7 million emergency and security aid package, which includes supplies for people in Netivot, Sderot, Kiryat Malachi, Kiryat Gat, Sdot Negev and Eshkol. Funds will help with new security projects, food, clothing and medical care, among other assistance. Five days into air attacks between Israel and Hamas, President Obama said Sunday that Israel has “every right” to defend itself against missile attacks by terrorists inside Gaza. In the wake of the recent Hamas attacks, several lawmakers backed a House resolution expressing support for Israel’s right to act in self-defense. New Jersey congressman Leonard Lance called for an end to the mounting terrorist attacks on Israel and urged President Barack Obama to stand with Israel, a close American ally in the Middle East. The seventh congressional district lawmaker supported a bipartisan congressional resolution the House approved expressing support for Israel’s “inherent right to act in self-defense.” The U.S. Senate approved an identical measure late Friday, November 16, by unanimous consent. “The resolution expresses unwavering commitment to the security of the State of Israel as a Jewish and democratic state with secure borders, and recognizes and strongly supports its inherent right to act in self-defense to protect its citizens against acts of terrorism,” said Lance. “I am in regular contact with Israelis in Israel who provide me with first-hand accounts. The Israeli people are strong and resolved. They want peace, and they are determined to defend themselves against terrorists. They have that right and we must support them,” concluded Staver. CEO and founder of News Corporation and the creator of Fox Broadcasting Rupert Murdoch used Twitter to lash out at CNN and the Associated Press for biased anti-Israel coverage. Murdoch apologized for his “Jewish owned press” comments Sunday. While it is uncertain whether there will be a ground invasion of Gaza, both the IDF and al-Qassam, Hamas’ military wing, have waged a war of words using Twitter, Facebook, YouTube and other social media outlets to get out their differing perspectives. Expecting to find a general consensus from the Israeli population, however, Jonathan David, radio news anchor for Israel Today Magazine, said he discovered more diverse opinions than he anticipated. David maintains many Israelis found European news reports to be more biased than American coverage. “There is a saying — if you ask 10 Israelis for their opinion, you will get 11 in return,” said David. But David argues that most believers in Israel are united in their view of world events in the Middle East. Russ Jones is a 25-year award-winning journalist and correspondent. 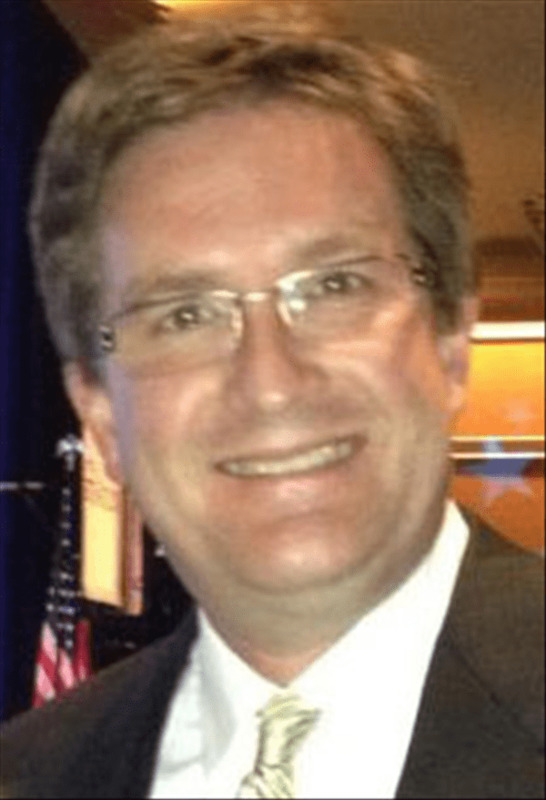 He is co-publisher of various Christian news sites such as ChristianPress.com, OxfordFamily.com and a media consultant to a number of political and cause-oriented campaigns. He is also a freelance correspondent for the American Family Radio Network, a regular contributor for ReligionToday.com, Crosswalk.com and various Christian TV networks. He has been a guest on such programs as the Mike Gallagher Show, the Dennis Prager Show and Sandy Rios in the Morning. Jones holds degrees from the University of Missouri-Columbia and St. Paul School of Theology. Russ is married to Jackie and together they have four children. He may be reached at russ@russjones.me or Facebook.com/russjones. GAZA/JERUSALEM (Reuters) – An Israeli missile killed at least 11 Palestinian civilians including four children in Gaza on Sunday, medical officials said, apparently an attack on a top militant that brought a three-storey home crashing down. International pressure for a ceasefire seemed certain to mount in response to the deadliest single incident in five days of Palestinian rocket attacks on Israel and Israeli air strikes on the Gaza Strip. Egypt has taken the lead in trying to broker a ceasefire and Israeli media said a delegation from Israel had been to Cairo for talks on ending the fighting, although a government spokesman declined to comment on the matter. Egyptian President Mohamed Mursi met Hamas political leader Khaled Meshaal and Islamic Jihad’s head Ramadan Shallah as part of the mediation efforts, but a presidency statement did not say if they were conclusive. Gaza health officials said 72 Palestinians , 21 of them children and several women have been killed in Gaza since Israel’s offensive began. Hundreds have been wounded. U.S. President Barack Obama said that while Israel had a right to defend itself against the salvoes, it would be “preferable” to avoid a military thrust into the Gaza Strip, a narrow, densely populated coastal territory. Such an assault would risk high casualties and an international outcry. Israel’s chief military spokesman said Yihia Abayah, a senior commander of rocket operations in the Gaza Strip, had been the target. The spokesman, Yoav Mordechai, told Israel’s Channel 2 television he did not know whether Abayah was killed, “but the outcome was that there were civilian casualties”. He made no direct mention of the destroyed dwelling. “The massacre of the Dalu family will not pass without punishment,” Hamas’s armed wing said in a statement. In other air raids on Sunday, two Gaza City media buildings were hit, witnesses said. Eight journalists were wounded and facilities belonging to Hamas’s Al-Aqsa TV as well as Britain’s Sky News were damaged. An employee of the Beirut-based al Quds television station lost his leg in the attack, local medics said. The Israeli military said the strike targeted a rooftop “transmission antenna used by Hamas to carry out terror activity”, and that journalists in the building had effectively been used as human shields by Gaza’s rulers. For their part, Gaza militants launched dozens of rockets into Israel and targeted its commercial capital, Tel Aviv, for a fourth day, once in the morning and another after dark. Israel’s “Iron Dome” missile shield shot down all three rockets, but falling debris from the daytime interception hit a car, which caught fire. Its driver was not hurt. In scenes recalling Israel’s 2008-2009 winter invasion of Gaza, tanks, artillery and infantry massed in field encampments along the sandy, fenced-off border. Military convoys moved on roads in the area newly closed to civilian traffic. Netanyahu said Israel was ready to widen its offensive. “We are exacting a heavy price from Hamas and the terrorist organisations and the Israel Defence Forces are prepared for a significant expansion of the operation,” he said at a cabinet meeting, giving no further details. The Israeli military said 544 rockets fired from Gaza have hit Israel since Wednesday, killing three civilians and wounding dozens. Some 302 were intercepted and 99 failed to reach Israel and landed inside the Gaza Strip, it added. Israel’s declared goal is to deplete Gaza arsenals and force the Islamist Hamas to stop rocket fire that has bedevilled Israeli border towns for years and is now displaying greater range, putting Tel Aviv and Jerusalem in the crosshairs. At a news conference during a visit to the Thai capital Bangkok, Obama said Israel has “every right to expect that it does not have missiles fired into its territory”. He added: “If this can be accomplished without a ramping up of military activity in Gaza that is preferable. That’s not just preferable for the people of Gaza, it’s also preferable for Israelis because if Israeli troops are in Gaza they’re much more at risk of incurring fatalities or being wounded,” he said. Obama said he had been in regular contact with Egyptian and Turkish leaders – to secure their mediation in bringing about a halt to rocket barrages by Hamas and other Islamist militants. “We’re going to have to see what kind of progress we can make in the next 24, 36, 48 hours,” he added. Diplomatic efforts continued on Sunday when French Foreign Minister Laurent Fabius met Israeli officials and Palestinian President Mahmoud Abbas in the West Bank. “It is absolutely necessary that we move urgently towards a ceasefire, and that’s where France can be useful,” Fabius told French television, adding that war must be avoided. U.N. Secretary-General Ban Ki-moon will be in Egypt on Monday for talks with Mursi, the foreign ministry in Cairo said. U.N. diplomats earlier said Ban was expected in Israel and Egypt this week to push for an end to the fighting. Israel’s operation has so far drawn Western support for what U.S. and European leaders have called its right to self-defence, but there was also a growing number of appeals from them to seek an end to the hostilities. THE LAST POSTING OF EGYPTS “THE FREE COPTS’ WAS ON JULY 30, 2011. WHY? MAJDAL SHAMS, Golan Heights – Mobilized by calls on Facebook, thousands of Arab protesters marched on Israel’s borders with Syria, Lebanon and Gaza on Sunday in an unprecedented wave of demonstrations, sparking clashes that left at least 15 people dead in an annual Palestinian mourning ritual marking the anniversary of Israel’s birth. Sunday’s unrest — which came after activists used Facebook and other websites to mobilize Palestinians and their supporters in neighboring countries to march on the border with Israel — marked the first time the protests that have swept the Arab world in recent months have been directed at Israel. The events carried a message for Israel: Even as it wrestles with the Palestinian demand for a state in the West Bank, Gaza and east Jerusalem — areas Israel captured in the 1967 Mideast war — there is a related problem of neighboring countries that host millions of Palestinians with aspirations to return. Palestinians were marking the “nakba,” or “catastrophe” — the term they use to describe their defeat and displacement in the war that followed Israel’s founding on May 15, 1948. Hundreds of thousands of Palestinians were uprooted. Today, the surviving refugees and their descendants number several million people. Syrian forces did not intervene — and Syrian officials reported four people were killed, and dozens wounded. Assad has cast himself as the only person who can bring stability to Syria — a country with a volatile mixture of religions and sects, and with a hostile neighbor in Israel. There was also violence in a predictable location — Gaza. Associated Press writer Zeina Karam in Maroun al-Rass, Lebanon, Elizabeth Kennedy in Beirut, Ibrahim Barzak in Gaza City, Gaza Strip, and Jamal Halaby in Southern Shuneh, Jordan, contributed to this report.